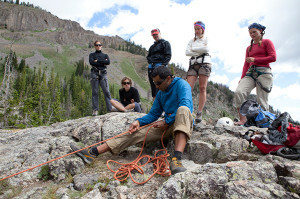 Snow School prepares climbers for early season climbs, when snow still lingers in the mountains. 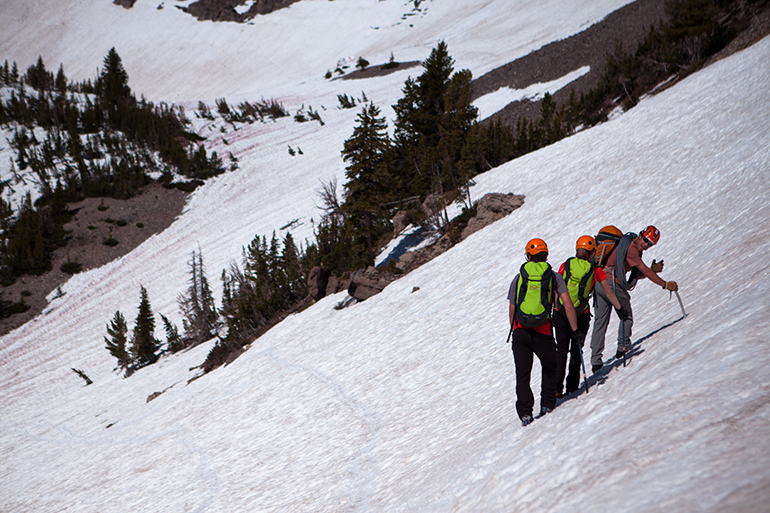 Snow school is a great choice, whether you are preparing for an early season climb, or you just want a really fun day learning how to travel safely on snow. The Teton Range receives an average of 400 inches of snow each winter. 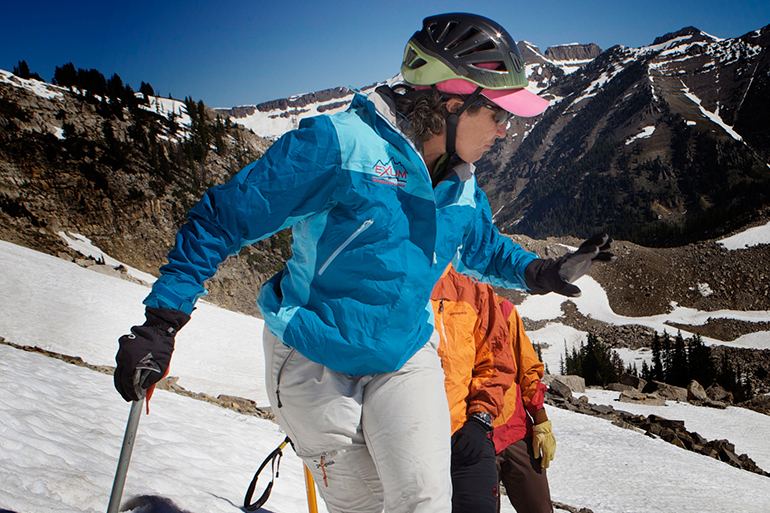 The snow pack often lingers well into July and therefore, snow school is required for early season Grand Teton climbers. Snow School is one of the most popular classes we offer. Instruction includes ascending and descending snow, self-arrest both with and without an ice ax, use of snow-anchors, and belaying. You will get loads of self-arrest practice. You will be falling sideways, feet first, head first, on your stomach, and on your back—expect to have fun and get wet! Also expect to be comfortable on snow by the end of the day. Being competent on snow if you are around mountains is like knowing how to swim if you are around water: a fundamental skill necessary for safety. …and, Snow School is one of our most popular classes. A minimum of 2 participants is required to run this class. 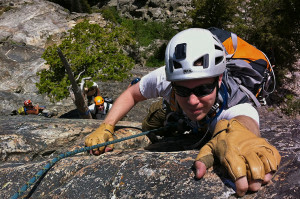 Learn the basics in our introductory course designed to prepare climbers for our classic Grand Teton climb. Take the skills learned in Level I to the next level with a series of more challenging climbs and rappels. Perfect for individuals or parties who want to learn specific skills, or who what to climb as a private group. 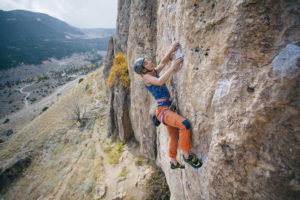 The Exum Sport Climbing Seminar is your ticket to taking your climbing to the next level.